Our professional plumbers at Go Water Heaters delivers affordable, quality, and water heating products and services in Hawthorne and throughout Los Angeles and Orange County. Give us a call at 310-753-5697 for water heater repair and installation, and we'll guarantee reliable and long-term results. Our water heater techs come on time and will call up when their on route to your Hawthornehouse. We recommend only verified, energy-efficient products and solutions from top rated suppliers, and secure your investment with a 5 year guarantee on water heaters and a ten year guarantee on tanks. We understand how significant your home is to you, and we work hard to supply the kind of repairs you could actually count on to last. Our helpful water heater specialists have the excellent product knowledge essential to suggest the most dependable and best suited options to suit your needs. We offer residential, industrial and commercial clients, and you will always be able to feel protected knowing we provide 24/7 emergency water repair response. Don't delay! Call Go Water Heaters for your home repair needs today within Hawthorne, CA! In the event your water heater is old or the situation cannot be correctly repaired for the long run through repair, Go Water Heaters has a complete collection of new water heaters as well as tankless water heaters for homeowners in Hawthorne. Our Hawthorne water heater contractors are leading in knowledge, promptness and reliability and you can depend on us to do the job correct the first time. Traditional water heaters provide comfortable and cost-effective hot water for many Hawthorne home owners. 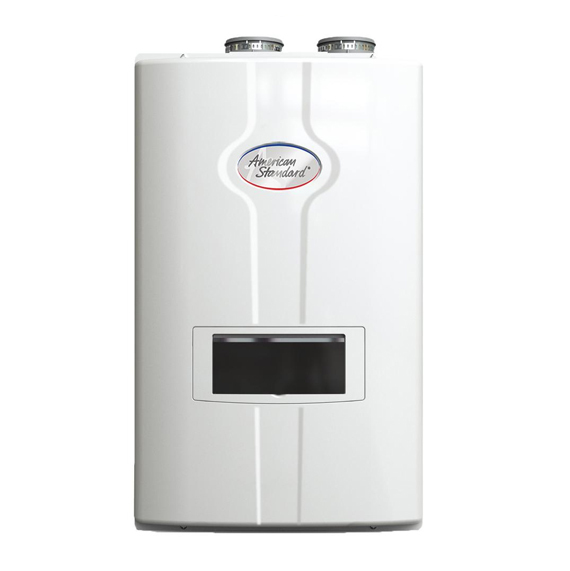 Should you require water heater repair, installation, or routine maintenance, contact the friendly Hawthorne water heater professionals at Go Water Heaters. If you wish to replace your water heater with a brand new one, contact us and we are going to help you find a brand new system that suits your home along with your price range. In case your water heater is leaky, producing rust colored water, or otherwise not adequate hot water, the Hawthorne water heater pros at Go Water Heaters can help. Even after you buy a water heater, you still have to maintain the unit consistently. In the event you forget about the water heater, you will not identify minor problems that lead to system failures in the future. Water heaters, just like many other home equipment, need typical maintenance to perform economically. If you want to schedule a maintenance repair call on your water heater, then please feel free to give us a call. Call 310-753-5697 to install or repair water heater in Hawthorne today. Scheduling a maintenance date can help with long term problems from happening, so be sure you speak to our plumbers and arrange routine check up to avoid costly breakdowns. Are you currently experiencing water heater issues in your residence within Hawthorne? According to the diagnosis of your water heater, what seems like a basic repair might develop into a total system replacement. Compared to tank models, tankless systems are much more complex. If you're thinking about switching from a traditional unit to a tankless water heater unit, don't just use anyone in Hawthorne. Make certain your water heater tech is skilled of a registered local plumber. Our Hawthorne water heater experts at Go Water Heaters can help you with any services you need. We understand how critical it is for you to stay comfortable in your home, and keeping your water heater from deteriorating. We are committed to your satisfaction and the quality of work we do. Give us a call now to talk with one of our friendly Hawthorne water heater specialist about any problem or worries you currently have . Do you find yourself having problems with your hot water? It might be time to phone our Hawthorne plumbers at Go Water Heaters. We specialize in kitchen plumbing and water heater repair, and can diagnose and service all kinds of water heaters. Being the right company for the job within Hawthorne, takes not just having the best trained water heater service techs. We're devoted to the finest client service in the plumbing business and through the Hawthorne area. Give us a call to discover what we can do for you! Based on the size of your house and family, you might be able to invest in a water heater unit no more than thirty - 40 gallons, or you may require one as large as 50 - 80 gallons. The average family of four hot water heater tank can store 40 to 50 gallons will usually meet their needs. Other variables, such as the number of bathrooms you may have, the amount of loads of laundry you need to do per week and even how big your bathtub is also make a difference. With a total water heater inspection from Go Water Heaters, your hot water tank will be drained and flushed. It's likely that your tank has a buildup of sediment that, or not often removed, can become serious enough to cease the burner from heating the water in the tank. Excess accumulation could cause your water to create an awful aroma, and trigger your hot water tank to use a lot more energy than necessary and increase the time your family has to wait for hot water. Our Hawthorne Water Heater Installation Professionals can get your hot water running through your plumbing system again before you know it. Call Go Water Heaters today in Hawthorne for a fast free of charge prepared quote. Authorities identified Friday a pedestrian police say was killed by a 16-year-old driver in Torrance, who was arrested. Where to eat, drink, and brunch at Hawthorne Asylum, the Southeast Portland food cart pod. A man accused of wounding an officer in a shootout with Hawthorne police, has been charged with four counts of attempted murder, officials said.